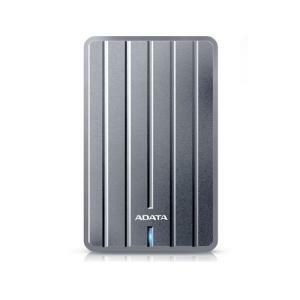 The ADATA HC660 2 TB USB 3.0 External Hard Drive - Titanium is at the apex of light and stylish external hard drives, being just 9.6mm thick. Easily store your media and files, including the highest fidelity content, without worrying about running out of space. The HC660 was created to look great and be durable, so it uses a scratch and damage-resistant sandblasted metallic surface. It is electroplated to ensure it maintains its looks for a long product lifespan: surface paint won’t chip off or dull, and the grooved texture will remind you of the HC660’s fusion of fashion and utility for years to come.